The Blossom draws from multiple weather stations and services, so you don’t have to worry about when you should water your lawn. Gone are the days of running the old, oscillating lawn sprinkler at two in the afternoon. Water conservation is the name of the gardening game now. Controlling, monitoring, and adjusting the flow of H20 to your yard isn’t just the responsible thing to do; it’ll also save you a few bucks each month. From simple faucet timers to connected irrigation system controllers, there are a variety of tools to get the job done. 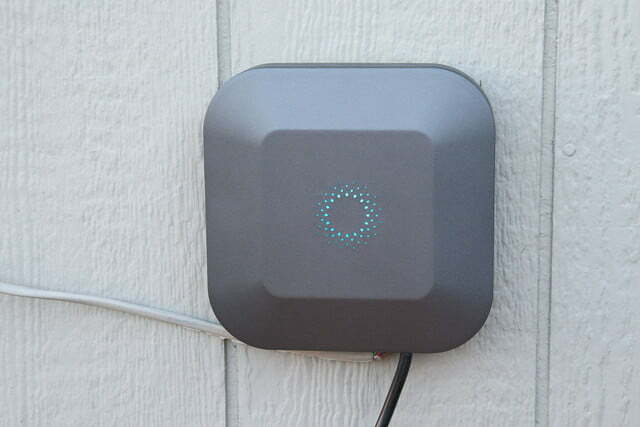 Blossom’s Smart Watering Controller promises to be a set-it-and-forget-it solution to deliver just the right amount of water to your lawn, shrubs, and garden. So is it really as simple as they say? 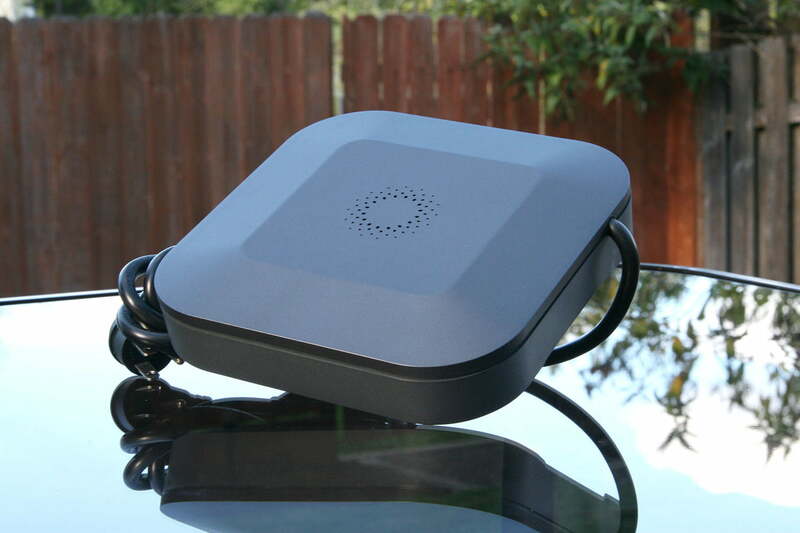 While most smart irrigation controllers aren’t built to stand up to the elements, the Blossom is designed to go anywhere. 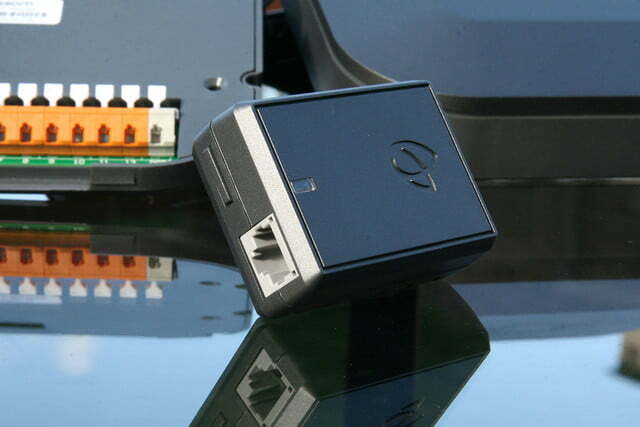 It’s a sleek-looking box with nothing more than wiring connections and an LED indicator. Sporting an IP54 rating, it can withstand just about anything Mother Nature can throw at it. That’s important if you’re replacing an existing watering controller that’s mounted on the outside of your house like I did. 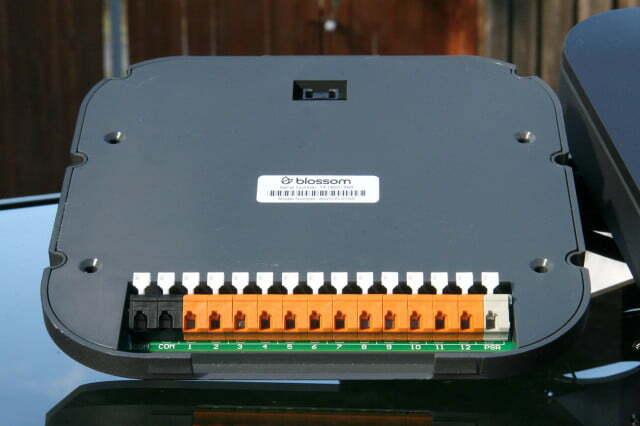 The Blossom comes in two pieces: a mounting plate with sprinkler wire terminals and the brains of the system. 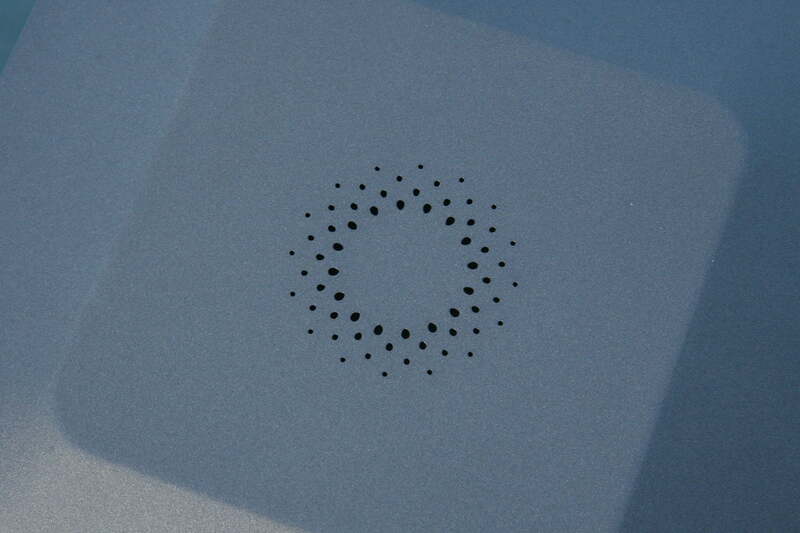 The plate attaches to the wall with four screws, and the outer case snaps onto that. Power is delivered through a six-foot cord that’s permanently attached to the outer portion of the Blossom. Getting everything in place was dead simple; just make sure to keep the sprinkler wires labeled. 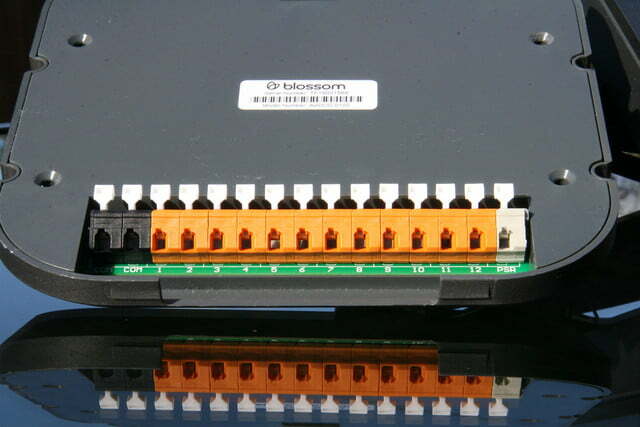 Knowing that the Blossom could be installed in some out-of-the-way locations, its designers included a power-line Ethernet connection in addition to Wi-Fi. 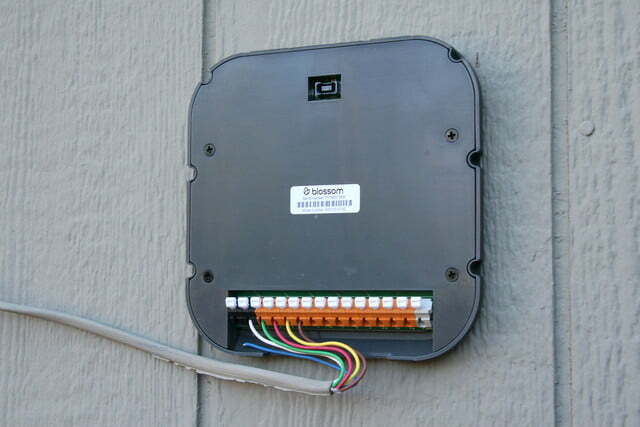 You could conceivably install this thing on the side of a shed on your back forty, provided that the AC current runs through the same breaker box as your router. Simply plug in the included Ethernet to AC adapter, then plug in the Blossom, and the device will be up and running in a flash. 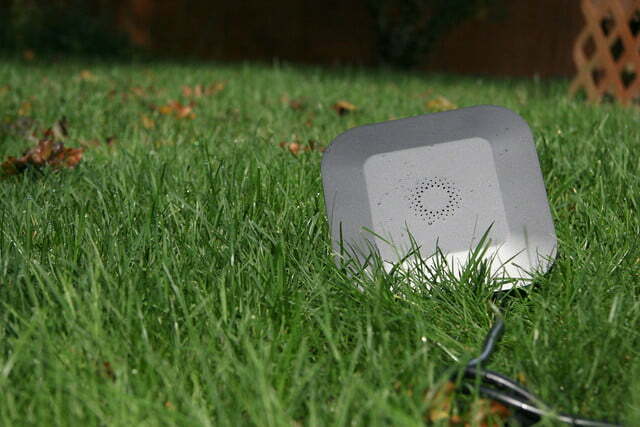 The Blossom draws from multiple weather services so you don’t have to worry about when you should water your lawn. 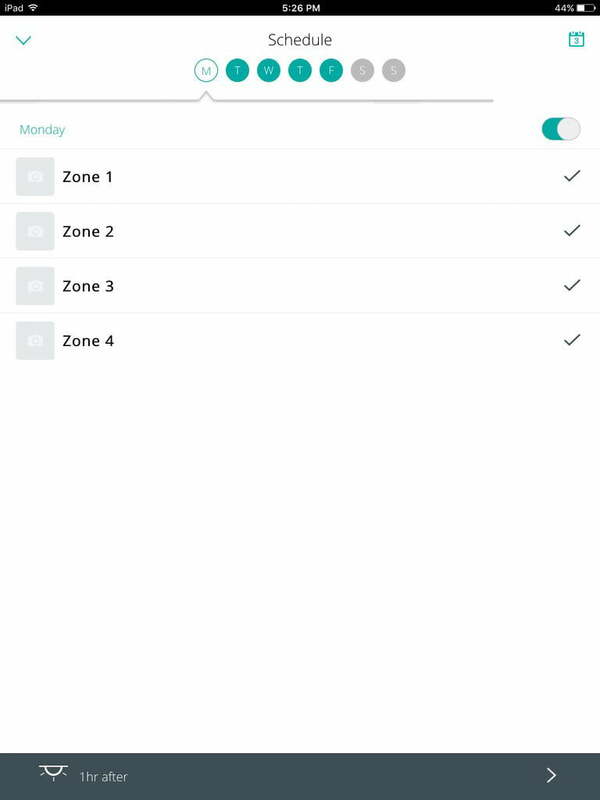 After downloading the app, pairing it to the controller, and punching in your address, the Blossom will automatically detect how many watering zones are connected. 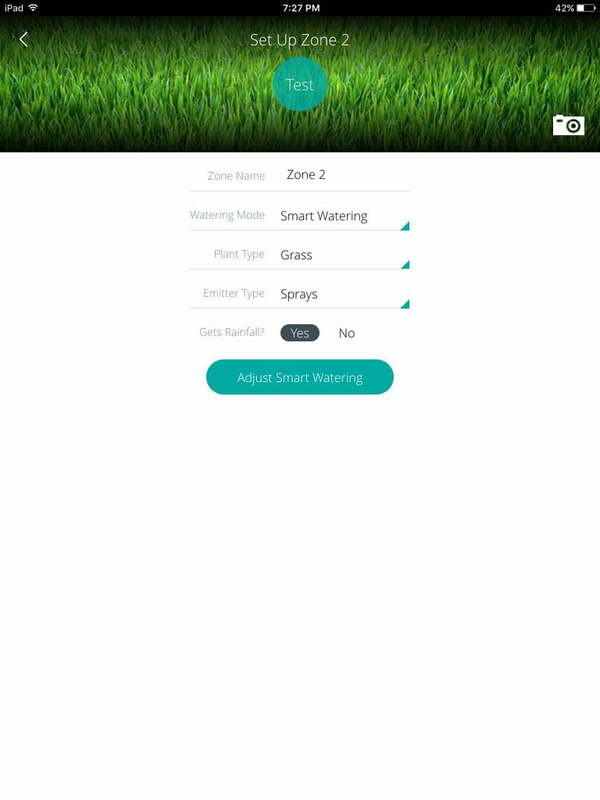 At this point, you’ll have to tell the app a bit about your yard in order to get the most efficient watering possible. Each zone needs to be customized with the type of vegetation and sprinkler servicing the area. (Warning: Fail to set these two and the Blossom’s IQ will take a nosedive.) You can also tell it if the area gets rainfall, turn “smart watering” on or off, name the zone, and even take a picture of the landscape. Once the controller knows the lay of the land, you get to pick which days and time to water. A great feature here is the ability to automatically adjust watering times based on the ever-changing sunrise and sunset. Set it to two hours before sunrise, and it will always turn on the sprinklers just before the rooster crows. (Note: residents of Alaska, your experience may vary here.) 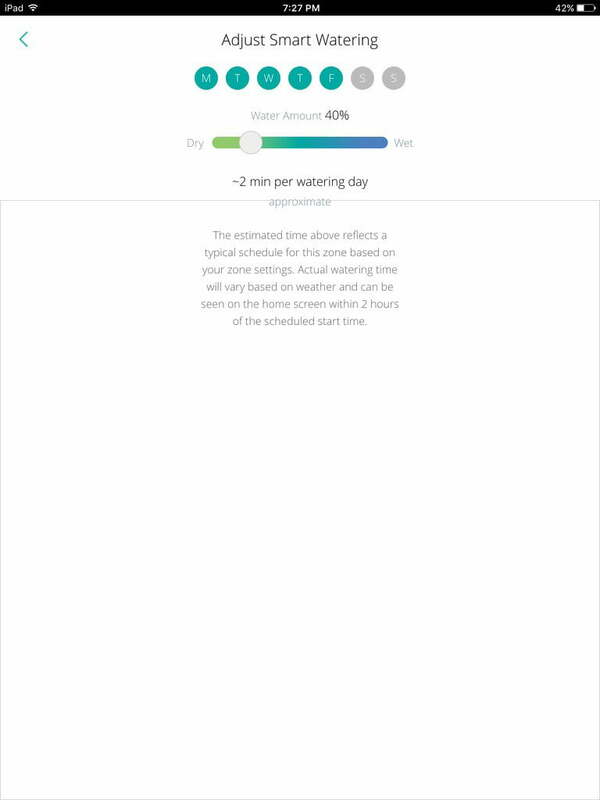 On the downside, the app only allows for one watering time each day. For people watering on hillsides where runoff is an issue, or anyone seeding a lawn, this is a vital feature that’s currently missing. Thankfully, an update to the app expected before the end of 2015 will allow for multiple watering times each day. Finally, it’s time for smart watering. The last bit of information you’ll have to provide the app is how much water you think each zone needs for each average watering cycle. For most people upgrading from an existing timer, it’s a pretty straightforward process of moving each slider to match the watering durations your yard is used to. This is where things get boring. You don’t actually need to interact with the Blossom once it’s set up and running. 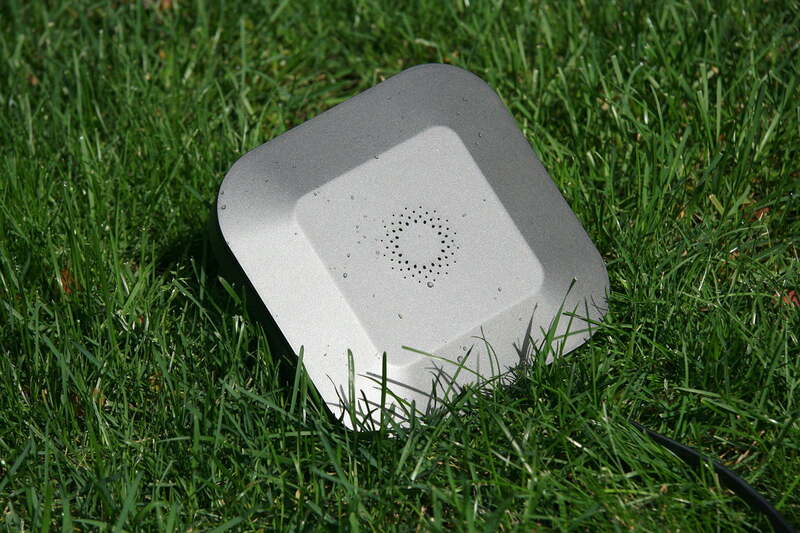 Now, if that’s what you’re looking for, fire up the BBQ and let the Smart Watering do its thing. But for those who want to be a bit more hands on, we have a few things to talk about. During setup, it asked for not just a ZIP code but the exact street address. The Blossom draws from multiple weather stations and services, including the NWS, NOAA, and Weather Underground, to build its own unique weather model. 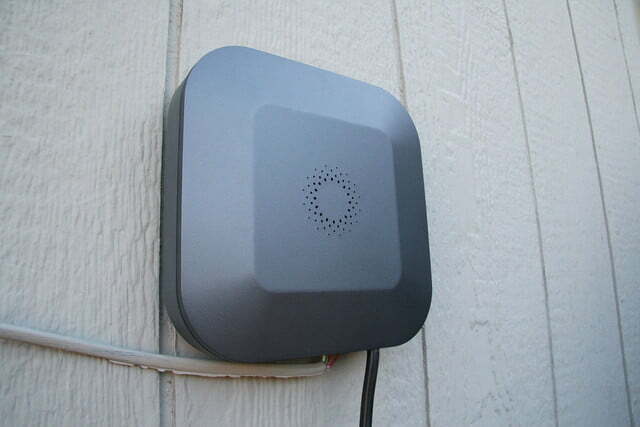 It cannot connect to a home weather station, rain gauge, or any other type of local sensor, though. Everything’s done in the cloud. Based on these sources, it calculates how much water to deliver to each zone every watering. It will also cancel a watering if a significant rainfall is predicted. So what happens if the forecast is wrong? 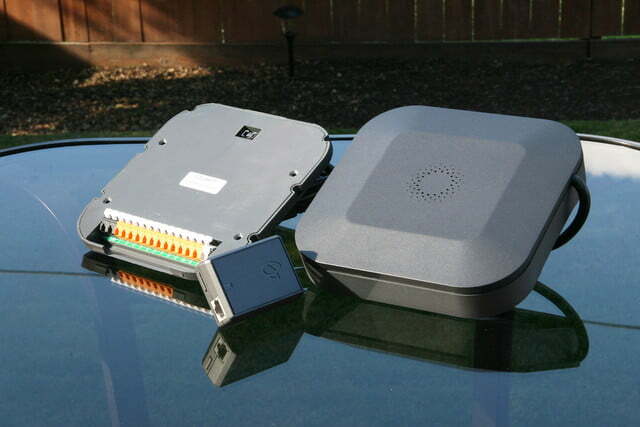 The Blossom also analyzes actual weather observations to compensate for forecast errors. If that big rainstorm didn’t come through as predicted, the next watering cycle will make up for it. As long as you give it the right information about your yard, you can just set it and forget it. In practice, all of this works the way it should. After two months of testing, the Blossom adjusted watering times to match climate conditions. It canceled watering when rain came through, boosted watering time when the lawn needed more, and in general it stayed on top of getting the right amount of water down way better than I could with my old sprinkler controller. But that’s all I can tell you about performance right now, because that’s all the app could tell me. The current version of the app (0.4.2) gives the absolute minimum when it comes to tracking its own performance. It will tell you when the next cycle will start, and what the start and end times were for the last cycle. That’s it. 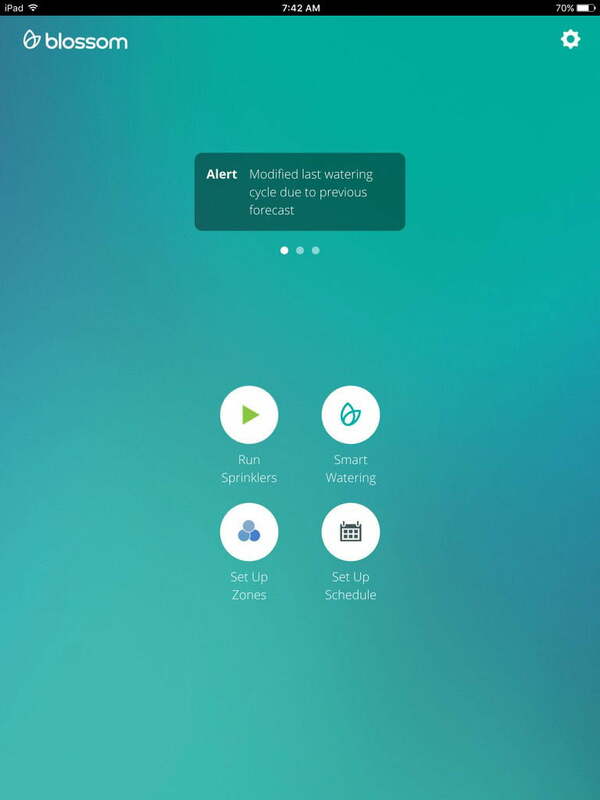 Luckily, all the watering information is stored in the cloud and the next revision of the app will include a more detailed way of accessing it. For weather geeks like me, this will be a welcome upgrade. If the lawn watering index, climatology, and data crunching aren’t your thing, then the Blossom is for you. As long as you give it the right information about your yard, you can just set it and forget it. While it doesn’t connect with any weather and soil sensors you might have in your yard, it gets the job done without them. And that’s the whole idea behind the Blossom. Simplicity. 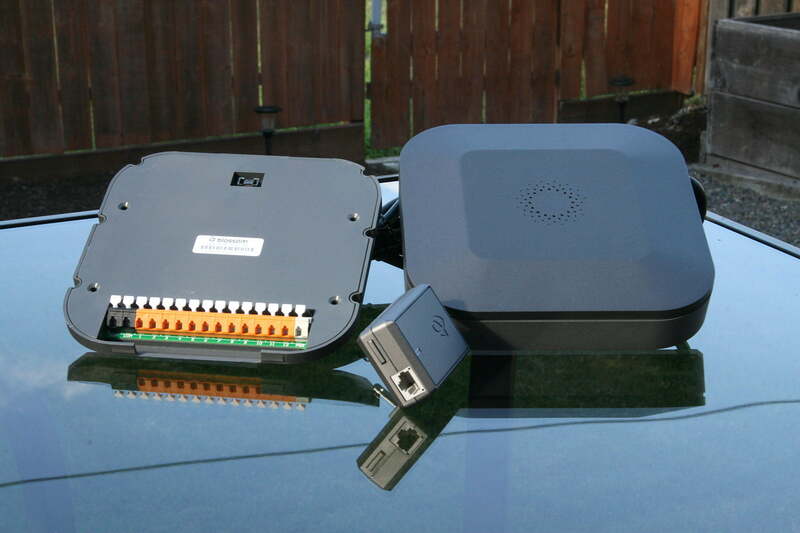 The install is easy, thanks to its go-anywhere design. The app is simple — maybe too simple for some, but an update should remedy that. When you add it all up, it’s the easiest way to upgrade the IQ of your yard. Amazon dropped the prices for Ring Smart Light Starter Kit bundles a week before the lights start shipping. 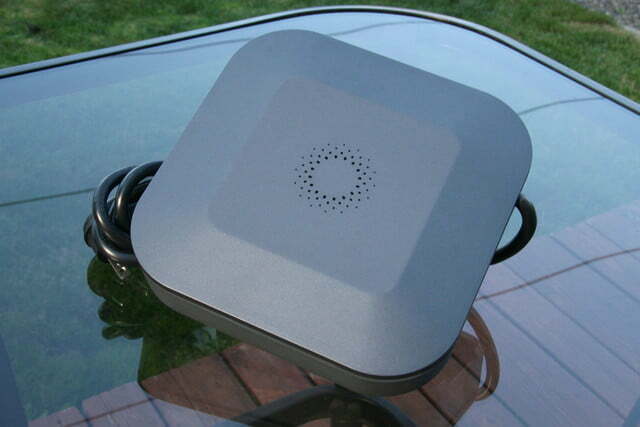 Smart security cameras and lights turn on automatically and alert homeowners to visitors or intruders.